I’ve been lax about putting these up for the past few months, but when I saw the prompts for June 2014’s Photo-a-Day list from FatMumSlim, I really liked them and wanted to share. I know I’m going to be busy having a baby and all that in June, but part of me wants to try to do the ones that I can. We’ll see. 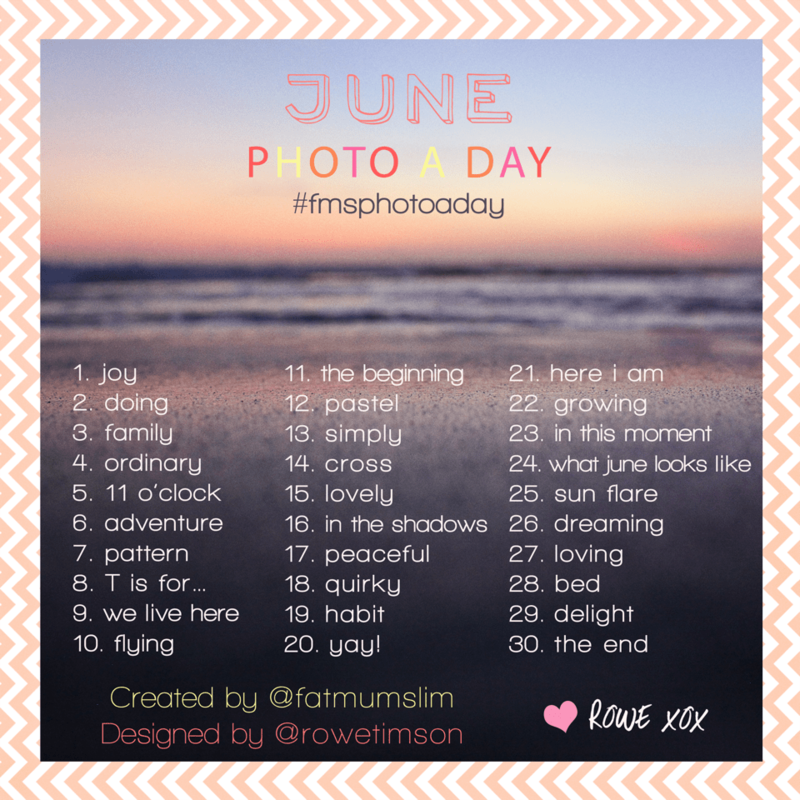 FatMumSlim has handed over the reigns to others to make each month’s challenges; June 2014’s challenge topics were created by Rowe Timson. Here’s the list for anyone interested! This entry was posted in Instagr.am, Photo-a-Day Challenge and tagged #fmsphotoadayJUNE, FatMumSlim, FatMumSlim Photo Challenge, FatMumSlim Photo-a-Day List, FMS Photo-a-Day June 2014, June Photo a day challenge, photo-a-day challenge, Rowe Timson. Bookmark the permalink.